As Internet marketing consultants, I’m sure we’d all agree SEO is a vital part of a successful marketing strategy. Online visibility is essential for both branding and conversions. But I think because we are passionate about what we do (and therefore, perhaps a bit biased,) we can lose sight of the fact that SEO and Internet marketing are not the only ingredients in our client’s marketing mix. Print advertising, radio and TV commercials, e-mail marketing, direct mail – for most businesses, these forms of marketing are still heavily used. And really, in many cases, they should be. We might all like to think that online is the single best way to reach our client’s audience, but depending on their product or service, that might not always be the case. My job as a Marketing Coordinator in real estate taught me the value of multi-channel marketing, and how different channels spoke to different demographics. Was online an important part of our marketing strategy? Absolutely! But print advertising, direct mail, and local sponsorships were also very effective for us, and if we had put all of our eggs into the online basket, we would have missed out on reaching entire groups of potential customers. or miss out on key conversion opportunities. Are you tired of hearing SEO is dead? If so, how do you think print marketers feel? I assure you, print marketing is not dead either. Has it decreased over the years? Yes. Has it had to evolve? Yes. But it is still alive, and it isn’t going anywhere. Print marketing appeals to the senses. There is a certain glossy, tactile satisfaction to flipping through a magazine or catalog. I can’t fully embrace an e-reader because I enjoy the smell of books and newspapers, and the feeling of crisp pages between my fingers. Print has a certain familiar, comforting quality to it that a computer or tablet screen can’t provide for many people, including me. Plus, believe it or not, a lot of people still do not use or even have an Internet connection. Like my parents. Yes, I am serious. Track online traffic with analytics. If a client is trying to drive traffic to their Web site through a print ad, find out if they are using custom URLs to track traffic. Creating custom URLs with the Google URL Builder allows your client to measure the effectiveness of a print ad. If they discover a high bounce rate, it could indicate a disconnect between the client’s print advertising campaign and their online presence. Was the Web site not what the consumer expected? Did it not offer the calls to action visitors were looking for? Make sure users are being sent to optimized landing pages with clear calls to action. Use QR Codes. A while back, Lisa lamented over poor QR code implementation. When used correctly, QR codes can actually be a great way for your client to engage their audience and draw them online. Because this is still relatively new technology, people are curious. Just make sure, as Lisa pointed out, your client is driving traffic to a mobile-optimized landing page. Get social. Find out whether your clients are encouraging the use of social media in their print ads. Printing URLs to their Facebook page and Twitter profile can be an easy way to get more likes and follows. Better yet, suggest that your client offer a promotion where online engagement offers customers special benefits and opportunities to save money. Ah, direct mail—the original spam. In a world where paperless is now seen as a virtue, direct mail has had it rough. However, adversity in this channel has sparked a creative revolution, resulting in some unique, imaginative, and–dare I say it—effective mail campaigns. Don’t believe me? Check out the sweet mailer Omniture/Adobe sent out last year. Their estimated ROI on that campaign was a whopping 268%. 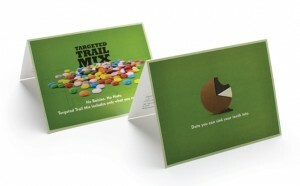 Direct mail has many of the same benefits as print advertising. It’s widely accessible and it can be a sensory experience. But direct mail can also be targeted more precisely to specific demographics or locations (down to street-level), it can include gifts or other items of value, and it can be easily hung on a fridge or sit on the counter for days, prolonging a customer’s exposure. Personalize with Personal URLs (PURLs). Want to make a potential (or existing) customer feel special? Send them a custom piece of mail that includes a personal URL which sends them to a personalized Web page. If your client has the ability to do this, they could bring small-biz service to their audience on a massive scale, which is excellent for customer service and branding. You, as the Internet Marketing Consultant, will be available to help them implement this strategy so the creation of these URLs and pages doesn’t damage the site structure, or the search engines’ ability to crawl and index the site. Optimize items of value. If your client is sending out items of value with their mailers, find out whether those gifts include the client’s Web site URL or Twitter handle. If not, your client is missing out on a great opportunity to encourage online engagement. E-mail marketing comes in many forms. Newsletters, mailing list promotions, online catalogs, press releases, invitations, and thank-you letters—all useful ways your client might connect with their customers through e-mail. 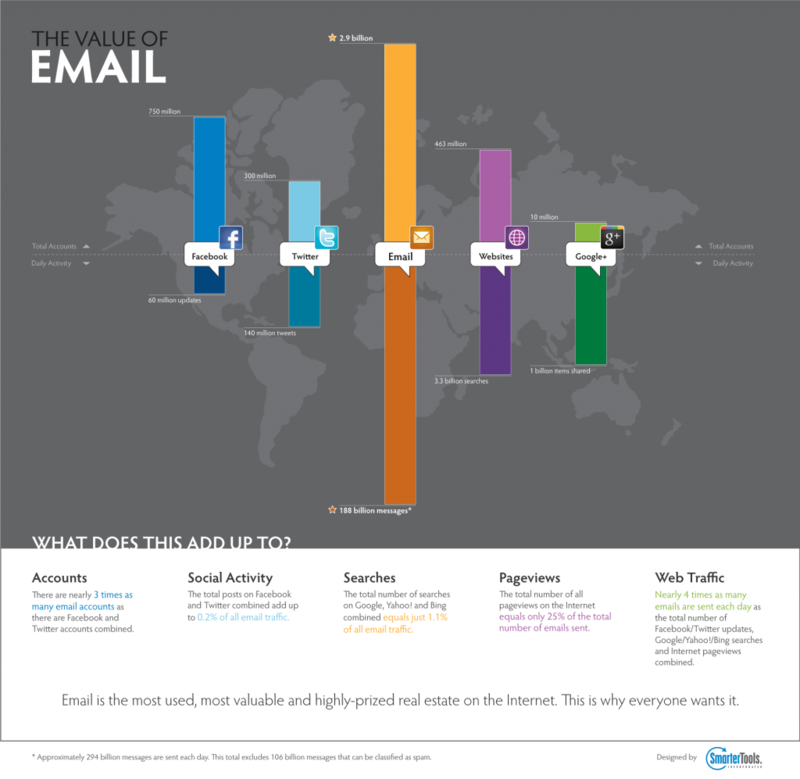 E-mail marketing reaches more people than social media or traditional Web sites. E-mail can be personalized and easily produced at a relatively low cost. E-mail marketing is also an effective way to quickly drive Web site traffic and increase conversions. Make it Social. Because e-mail reaches customers who are already online, social media calls to action should be prominent on all e-mail correspondence from your client. One click is all it will take for customers to reach your client’s Facebook or Twitter pages, so make sure your client is taking advantage of this. Link it Up. Did you know that more links in an e-mail newsletter actually lead to a higher click-through rate overall? Make sure your client is linking to optimized landing pages with clear calls to action, and often. Those landing pages should also be optimized for mobile because many people check e-mail on their phones. Make sure your client is tracking e-mail traffic and conversions to measure each campaign’s effectiveness. Radio ads may seem irrelevant to the online world. But given that many radio stations now stream online, radio actually offers advertisers the potential to reach a much broader audience. In the U.S., 93.1% of adults (persons over the age of 12) listen to radio weekly. That is a staggering number. Reach alone makes this channel an enticing marketing tool, not to mention radio advertising costs are significantly lower than television’s. Include a URL. If your client uses radio advertising, find out whether their script includes mention (and repetition) of their Web site URL. If a listener is not driving, they may have access to a smart phone or computer to visit the site right then. Also, encourage your client to include verbiage such as “like us on Facebook” and “follow us on Twitter,” if they aren’t already doing so. Use online code promotions. To encourage Web traffic, many radio commercials use online savings codes. Having the listener enter a special code in the Web site’s order form could save the listener money on a purchase, or enter them to win a prize. This would be an effective way for your client to integrate their Web presence with their radio ads. Television advertising may seem like a dying medium in today’s DVR world, but as a marketing channel, TV is an excellent way to build brand awareness. Television offers both audio and visual stimulation, and it can have an emotional appeal. I know for me, the only advertisements to actually make me cry or laugh out loud have been TV commercials. one that many of us can relate to. People tend to make purchases based on emotional impulses, and TV is a great way to connect with that human side of capitalism. Also, statistics show the likelihood of someone buying or using a product increases by 50% when TV ads and Internet marketing are used in conjunction with one another. Use above strategies. SEO/TV integration will be similar to radio. Make sure your client is driving traffic to their Web site and social pages. Commercials can also integrate QR codes, making it easy for viewers to snap a pic on their smartphone and visit your client’s Web site. DVR aids in this functionality because viewers can pause the ad, or rewind if they don’t have their smartphones immediately accessible. So… What Does this Have to Do with You? At the end of all this, you might be wondering why you should be interested in your clients’ other marketing activities. Well, I guess you don’t have to be. However, at Outspoken Media, we have been trying to shift away from the “vendor” mindset, and instead focus on being “consultants.” We believe our responsibility as consultants is to offer value in as many ways as we possibly can. Understanding the marketing landscape as a whole, not just from an Internet marketing perspective, is one of the ways we can offer more informed, valuable, and complete service to our clients, building strong, long-term relationships with them. And really, what passionate marketer wouldn’t want that?